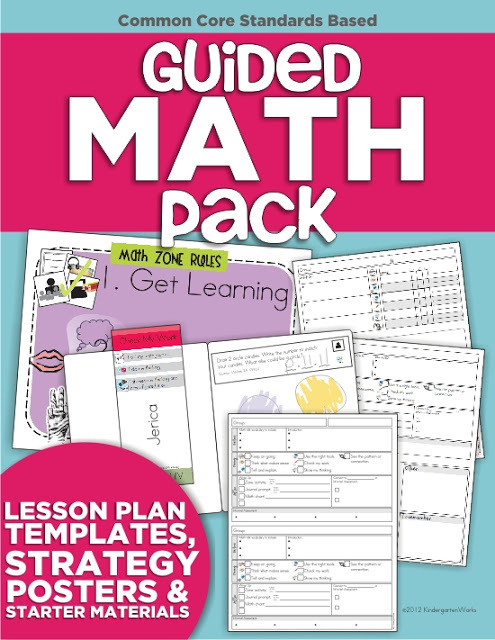 If you’re willing to meet groups of students where they are and give them math practice that helps them progress – you’re gonna love teaching with a guided math format. Why? The intrinsic reward as a teacher seeing students succeed is tremendous. The growth they experience is awesome and you can actually teach what they need. It’s my goal today to give you a few starting points based on my questions before starting guided math and reflections from afterwards. 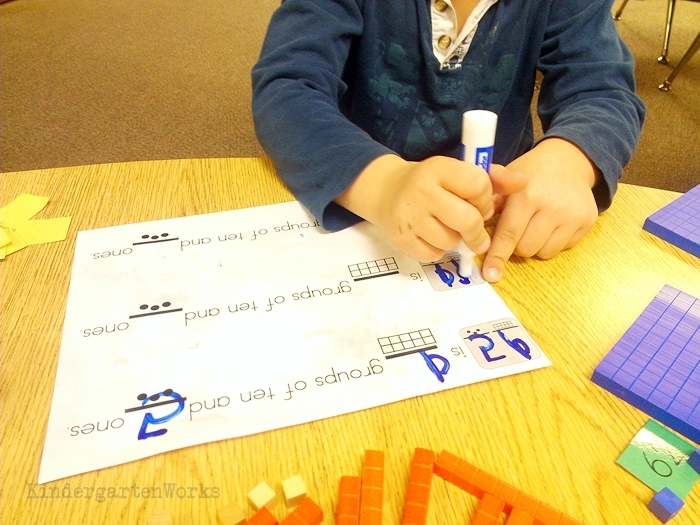 So, how can someone start teaching guided math in kindergarten? Here are my top tips and ideas on how to put it into practice… as soon as you’re willing to start. 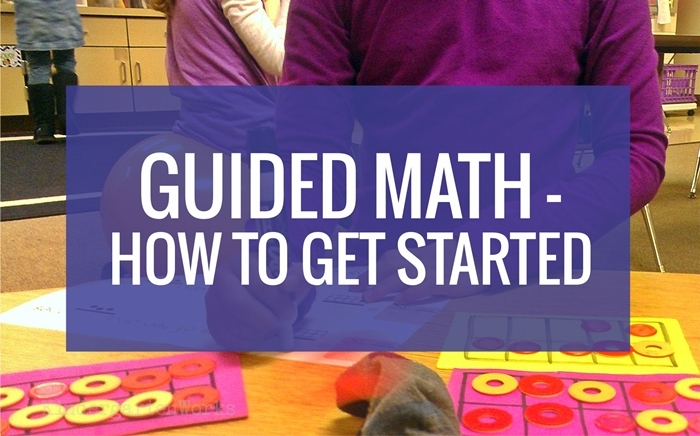 What’s the first step to teaching using a guided math format? Well – to be honest you have to decide to do it. Anyone can complain about lack of time we experience in a given school day and scheduling difficulties. The reality is that if we want to find a way to do something, we will. Make the decision to try it and allow your mind to begin to try and visualize what it might look like in your classroom. If you know why you want to make the change, you’re well on your way to making it a success! Creating a guided math schedule that works for you and your daily schedule is important! You’ll have to create a schedule that will work for your time allowance and student needs. You want this to become the main focus of your math time instead of added to your day. None of us have an extra ___ mins or hours in the school day, so it does have to replace something. With some creative thinking I’ve found that it effectively replaced all of my whole group math time and worksheet practice (we use Saxon in our district). What I found was that it allowed me to even add more math time into our day without taking away from anything else we do since the time we do spend is actually valuable. Consider how you can s-q-u-e-e-z-e value out of whatever time you determine you can commit. I also ended up replacing the traditional “calendar time” in kindergarten with calendar binders and it was waaaaay more effective for the time spent in that category too. 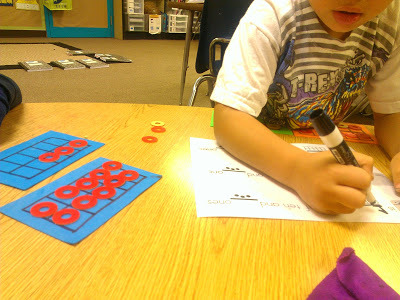 We hit many more math concepts on a repeated basis. It’s a way to unify what we are all learning and working towards. Here are some questions to consider that may help you begin to think about using your time. Grab some note paper! These starting point questions will help get you started. How long would you ideally like to meet with a group of 5-6 students to cover a warm up, main activity and wrap up? What kind of transition method(s) would you apply? Would you do a rotation in a day? What would other students be doing to be learning independently allowing you time to work with your group? Will you be able to meet your standards and student needs if you adopt this new style? Will you need to add anything, or can it be integrated into this time somehow? How long can your guided math time be? Previously my math lesson and worksheet time worked out to be about 40 minutes. Hmmm… If I can use 40 minutes, that won’t be long enough with transitions to meet two groups in a day. Yet, if I can figure out an additional 20, then I think an hour would make it possible. What can I tweak a few minutes or get better at to gain 20 mins., four times a week? An hour should be enough time… I think. It made sense to replace my math time with this new format. However an hour was definitely a bare minimum once I got into a routine. I loved how we were spending our time so it was easy to make math go longer! Normally our math time would run an hour and 15 minutes to an hour and a half. I know that it wouldn’t be practical to meet every group, every day with the current time I have allotted. If I did groups would be ridiculously short with very little time to dig deeper and explore. However, I could meet half of the class each day and schedule in sharing time so that I can check in with everyone, every day. Plus, if I have some accountability from the other half of the class that don’t meet with me I’ll be super close to this goal. That’d mean I’d be with a group roughly 20-25 minutes if we have share time at the end of math time. Allow time to dig deeper. I found a lesson plan flow that really worked for me. It included (on most days) doing a warm up activity, a main lesson and a wrap up activity. What felt perfect was the 30 minute mark for meeting with a group. It gave us enough time to dig deeper, ask hard questions and spend time exploring. That really matters with this approach. 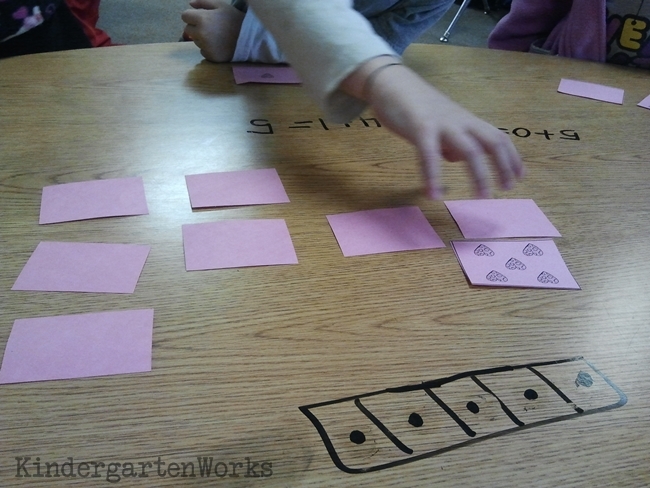 Guided math encourages students to solve, question, explain and explore. We had 10 minutes of sharing at the end with a 2-5 minute transition in between the two groups and a 3-5 minute transition in preparation for sharing at the end of math time. I should keep the same transition method of turning on the clean up song and use an icon chart just like during literacy centers. Why change something that is working and they know how to use independently? The only thing will be bigger groupings of students so I’ll need to spread them out around the classroom to keep voice levels lower and help keep them on task. I could do two rotations to meet with half of the class each day of guided math. It worked well to just have two math zones going on in one day. The two transition periods worked out fine as long as I was consistent in my expectations and using the clean up song worked too. 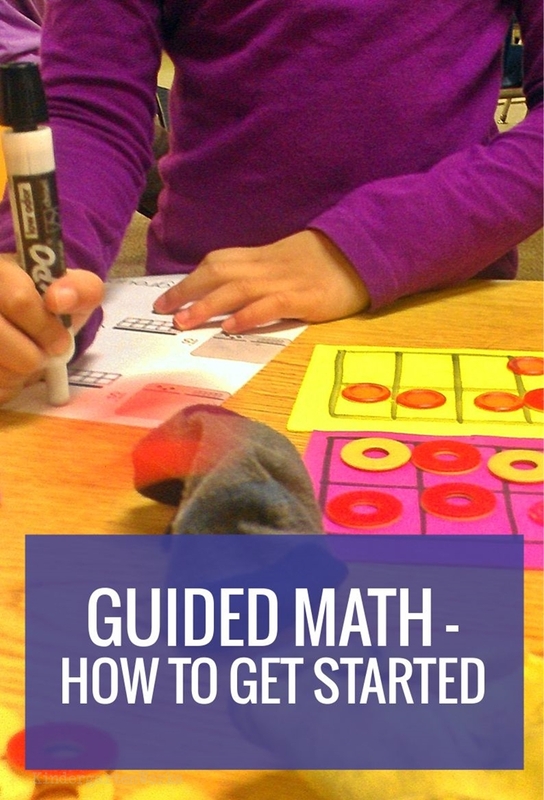 This definitely is a larger topic now that I’ve lived through it and have written out more about our expectations, schedule and rotation for guided math. This one requires some planning and begs more questions. How can I break them up so that they are spread out across the room and on task? How can I give them enough practice with everything we need to cover if they are only meeting me twice a week? I don’t want to make myself a “zone” or center, but I can’t think of a way to make that happen as I have only come up with 3 independent zones. 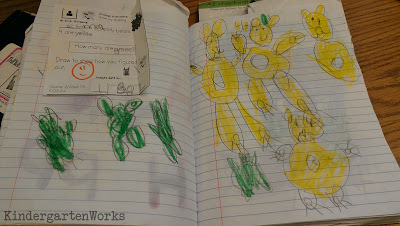 I feel good about them showing their thinking in math journals, this will greatly replace their worksheets and then some! I am excited about them practicing math using technology… I hope that really reaches some that are not as high and can extend those that are getting it. I know that giving games and activities that are practicing the same concepts we do in a group will be the right thing for independent practice. I still wish I could’ve come up with another math zone in order to relieve me from being the teacher zone. It would be nice to have groups with higher and lower kids mixed while working independently. Sometimes my lowest group will often struggle to stay on task or complete work if not followed through with… though there are maturity issues in tandem here. So, I can’t say it’s all dependent upon ability level. But I generally love all of our zones. And so do my kinders. Each one is so jam packed that I’ve got more to say on each topic. I figure that decreasing the time I spend with all students could have an impact, but how self-aggrandizing is that to think that I am the secret to their learning? If I structure things correctly, they should be able to practice, make mistakes and learn without me. Plus, the time they have with me will be more valuable since it is hitting exactly what they need versus having to do what everyone else is doing regardless of their skill level. Switching over to guided math in kindergarten has been the most refreshing thing I’ve done in all of my teaching (other than rolling out alternative seating) and I’m so thankful. What I found is that I was able to better meet the standards, exceed them with most students and better tailor my instruction to fit the needs of my kinders. I learned how they each solved things, what their strengths were and got to know them as math thinkers which never, ever ever happened with our traditional curriculum. 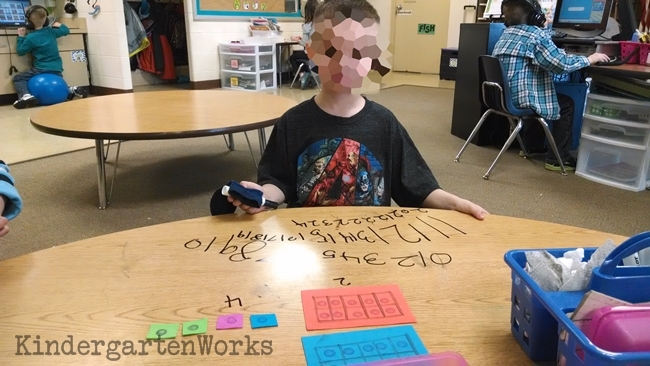 Just like I knew what handful of sight words they each needed and what strategies they used in guided reading, I could say that I grew to know them at such a level – but with math standards. I was able to differentiate for each of them more easily. I wasn’t the secret to teaching math anymore – they could learn without me – and they did! Rather, I became a secret ingredient that was a bit of a catalyst for more and deeper learning to take place. Just like you I had to find ways to fit it in. Planning and flexibility make it happen. Based on what I’ve learned, tried and continue to see in my kinders… Now that I’m here, there’s no turning back! If you’d like to get started with everything I could possibly share then grab my guided math pack now. Absolutely love it. Would you happen to have your lesson plans and activities to share for the beginning of the year? I purchased your computer template about 2 years ago and was trying to find it in my files. I checked TPT but I must have gotten it on another place you sell your great products. Is their any way to check on that purchase? Yes – in fact I’d recommend checking out Teachers Notebook to see if you bought it there. 🙂 Thanks! I enjoyed reading about this way of teaching math. Can I ask how you got permission to switch from Saxon math to your current routine? Are you the only one doing this on your team? I’d love to try something like this out but our district is pretty firm on using the curriculum they paid for. We didn’t ask permission right away. I came up with a plan and presented it. I don’t think I exactly elaborated on how little of the current curriculum I’d be using or abandoning but the other K teacher at my grade level was on board. Since we both wanted to do it, were excited and had all the confidence we could teach more than our current curriculum, our admin had no problem giving us the go ahead. Do you do any whole group math at all? This seems like a great system!! Thanks for touching base. Yes, I still use my calendar time to work on standards whole group. You can search calendar binders here to read more about that. There is so much good stuff in this post!! I’m pinning it! What a great post! Thanks for the insight and lots of ah-ha moments! Thanks Yolanda – I’ve definitely had lots of challenges and figuring it out along the way!